How much of your brand should you change in a rebrand? This depends on why you are rebranding and what you hope to achieve in the process. Do you need to disassociate with your old brand because it had a bad reputation online and in the local community? Are you trying to reposition your brand to command higher rent prices after a significant remodel? Or are you trying to reposition yourself to stand out in a competitive market? If you are rebranding because your name has received a bad reputation on online review sites or no longer appeals to your target audience, then a name change makes sense. If you are just looking to update an old brand then you might want to consider changing the brand aesthetics or messaging to reflect your new positioning, while still keeping the name the same. If your brand has developed a lot of positive online reviews and has a long history in the search engines or social media channels, rebranding will start you at ground zero. If you can avoid changing your brand name and just change your brand assets, you will save yourself the trouble of building up an online presence all over again. How should your brand change in a renovation? If you significantly change the architectural design or interior design of your community, you should consider updating the design elements of your brand. We once ran a campaign for a community that had a contemporary farmhouse design aesthetic, however, they underwent major design changes to the common areas and updated them to include brighter colors, modern furniture and bold pop art. These updates completely changed the look and feel of the community and warranted a change in the branding from cozy and classic to modern and sleek. Design elements of a brand like logos, color palettes, imagery and font all helped to communicate the “modern” and vibrant city lifestyle that the community wanted to showcase, without requiring a change in the brand name. Design elements such as logos, websites, colors, and imagery aren’t the only brand elements that a community should consider updating when trying to rebrand. 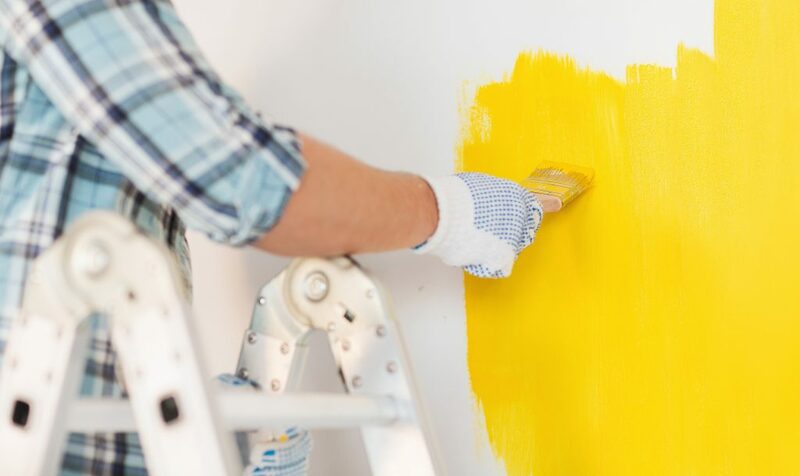 If your value proposition and the lifestyle you offer renters changes significantly because of renovations or additions you make, you should consider updating your brand messaging to match. What changes should you make to your digital marketing when you launch a rebrand? If you change the name of your community along with your brand identity, you will need to make quite a few changes to your online marketing efforts. With a name change, you will lose the position your community used to have organically in search engines. If you want to show up in the search engines when people search for your new brand name or for apartments in your area, you will need to utilize paid search ads. You will want to bid on keywords for your old brand since people will still be searching for you using that name. Your paid search ads or any social or banner ads will require URL updates, new headlines, and copy. You will need to create new pages and accounts on social media channels and review sites. Once you rebrand your community, you should reach out to your residents and prospects and announce your new branding. One way to do this, send out an email blast featuring your new brand design letting everyone know your name has changed. Make sure to request they leave reviews on your new site and to follow your new social accounts.